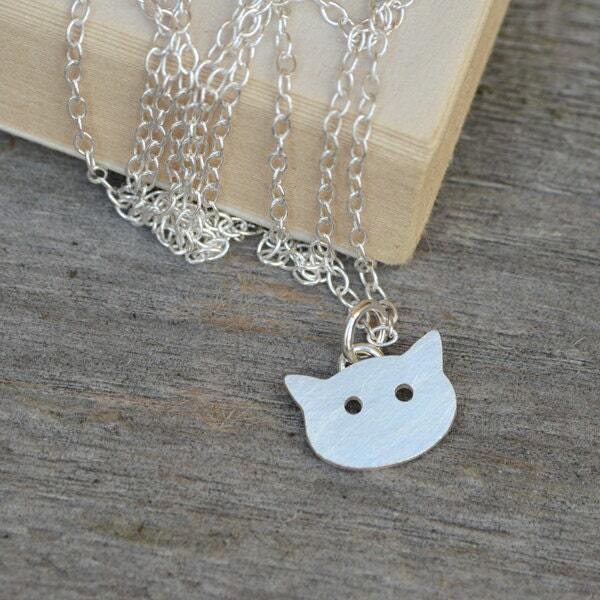 This cat and fishbone necklace is for cat lovers everywhere, two pendants adorn the sterling silver chain both the happy, satisfied cat pendant with the remains of his lunch, a fish bone pendant. 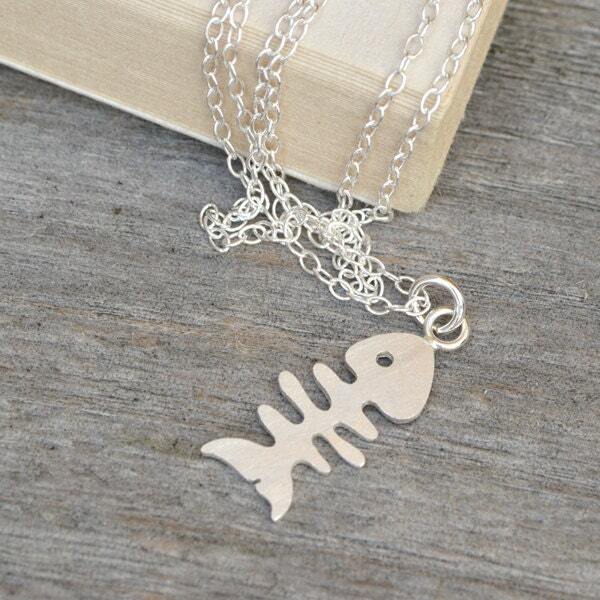 You could have up to 6 letters or 6 numbers on the back of the fish bone pendant. Repeat customer here. I got huiyitan to add a cute nose and whiskers to it. 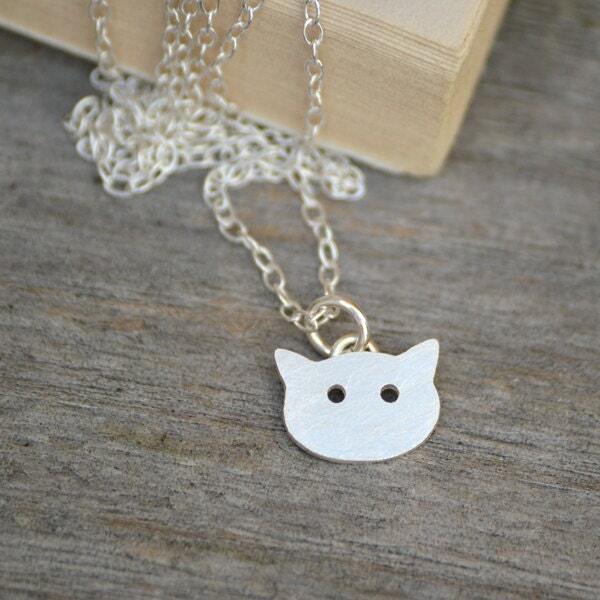 So much cuter, it reminds me of Hello Kitty. 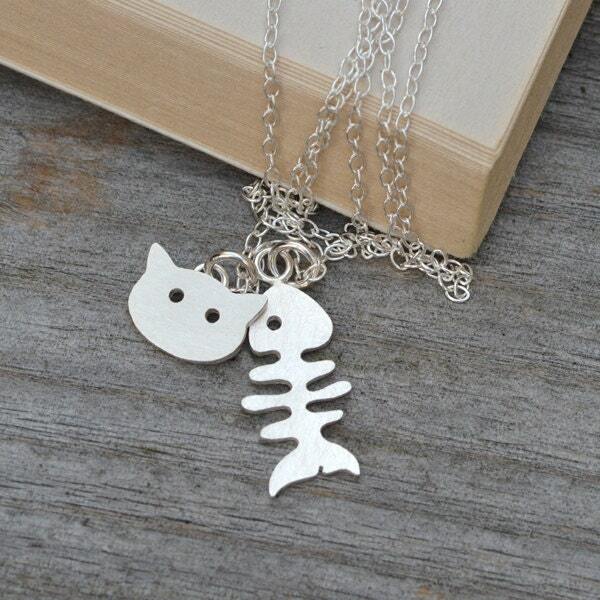 And the fish is perfect next to the kitty. Very happy.